New Book: ‘A Life of Natural Health’. I really hope you have enjoyed my new book, published on Amazon 21st March, 2018. Please leave feedback on my books in the comments secion below. New Zealander Merrilyn Hope’s third book, entitled ‘A Life of Natural Health’, is a testament to her belief in, and devotion to, natural healing practices over a period of 40 years or more. The reader who wishes to enhance his/her own healing abilities and improve personal health should find it a valuable resource. 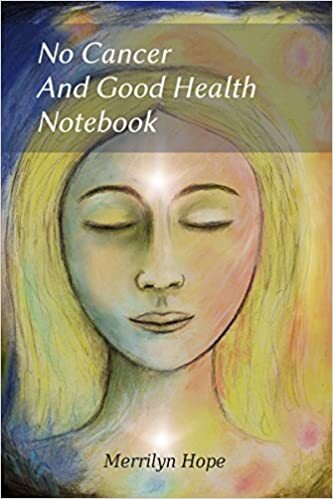 The author believes that most illness can be reversed through beneficial diet, cleansing procedures, the avoidance of harmful chemicals, and rest and meditation. All these aspects of health are discussed, with examples where pertinent, in this book. ‘Prevention is better than cure,’ the axiom goes: In preventing or curing an illness, it is essential, first, to eliminate harmful chemicals from your body and your environment. Many cleansing techniques are given in Ms Hope’s book for this purpose, some of which have proved to be successful in curing cancers and other degenerative disease, by such eminent naturopaths and doctors as Walter Last, Dr Max Gerson, Dr Clark, and Dr Eva Hill. Dr Gerson’s anti-cancer method, which famously uses castor oil, enemas, and much raw food, and which the author followed to eliminate a breast lump, is outlined. New Zealand doctor, Dr Eva Hill, cured many cancers in her lifetime: Her more simple, dietary and cleansing procedure for preventing, reducing or curing disease, is detailed within these pages, and so, too, is the three herb formula of Dr Hulda Regehr Clark, who describes her method as a ‘cure for all cancers’.The chapter entitled, ‘List of Complementary Homeopathic Remedies and Sequences’ will be a useful reference, both for students of homeopathy, and for those using homeopathy in the home. Learn what remedies work well with each other, and what remedy will cancel out another remedy. See how the childhood illnesses, mumps, measles, chicken pox, and flu, can all be helped with homeopathy. Read about how the harmful effects of agricultural chemicals, or troublesome vaccinations, can also be alleviated with correctly selected homeopathic remedies. Whilst the book is based largely on the author’s experience, and the writings of revered, naturopathic, or homeopathic practitioners, the information given within the book should not be substituted in any way for qualified medical advice. Do consult your doctor or medical advisor if you are sick. The following tonic recipe was sent into Ewing Stevens radio programme and appears in his booklet ‘Ewing’s Phone People’, published in 1993. I have not tried it myself in the healing of shingles, but it looks like a good, general tonic recipe, similar to one which Dr John Hilton gave to me about 30 years ago for the purpose of cleansing the digestive system and blood. In an 8oz glass put two tablespoons of lemon juice or lime juice, 2 tablespoons of maple syrup and one tenth of a teaspoon of cayenne pepper. Top up with warm water and stir to dissolve the maple syrup. Drink while still warm. Rangi, who sent in this recipe, recommends taking this dose six times a day for ten days, then leaving for three days, and then repeating the whole procedure for another ten days after the break. Vitamin E: Readers Digest ‘1801 Home Remedies’ says that Vitamin E can help. A suggested dose is between 1200-1600 IU per day until the shingles clear up. Vitamin C is anti-viral, anti-bacterial, anti-fungal and should be considered for helping cure shingles. Cat’s claw herb is suggested in some herbals for treating viral conditions such as shingles. Studies on cat’s claw herb show it can inhibit viruses. Take the recommended dose. Drink plenty of lemon balm tea: Readers Digest says lemon balm is effective in treating herpes viruses. They suggest making a tea of two teaspoons of dried lemon balm to a cup of boiling water. Allow to cool, then bathe the shingles blisters with the cooled herb tea. Peppermint or spearmint herb can be used as an alternative to bathe the skin. Drinking several cups per day of lemon balm tea would also be good. Lemon balm comes from the mint family, and is capable of inhibiting the different strains of herpes viruses. Lysine, an amino acid, can help fight viruses. Recommended dose is 1000mg taken three times a day while the outbreak is in the acute stage. Note: Reader’s Digest assures us that shingles are NOT catching, but that a person may develop chicken pox from coming into contact with a person suffering shingles: This might happen if a person has not had chicken pox previously, and occasionally people do get reinfected, sometimes years after having had the virus as a child. Of course you should see your doctor or natural health practitioner in the case of a fever, especially with a child. But here is a simple remedy you can try in conjunction with their advice. The idea of reducing a fever by soaking socks with cider vinegar is taken from International Masters Publishers ‘Nature’s Medicine Chest’ – sorry, no date on this publication here. I have not personally tried this remedy, but it sounds like a good one to me. ‘Nature’s Medicine Chest’ say that it works well for children who have a fever. Note: I think that the onion water idea, which I have outlined below, could also be used as a treatment for fever by applying to the feet. Mineral And Vitamin Content Of Apples: Apples are a wonderful food. They are rich in phtytochemicals which help prevent cancer and other diseases. They are high in potassium and pectin, both of which help heart function and keep the immune system strong. Apples also contain reasonable amounts of magnesium, calcium and sodium, phosphorous, choline, and Vitamins A, B1, B2, B6, C, E.
Apple cider vinegar contains all of the apple’s therapeutic value. Cider vinegar is strongly anti-bacterial and has a cleansing and tonic effect on the whole body. Drinking small amounts of diluted apple cider vinegar on a daily basis can help prevent candida overgrowth in the intestines. Apple Cider Vinegar Sock Treatment: The cleansing quality of the vinegar, plus the inherent nutrients which are absorbed through the soles of the feet, aid the healing process and somehow help to bring a fever down. It could be a very good remedy to use in conjunction with other therapies, such as homeopathy, for bringing down the fever which accompanies measles, mumps, or chicken pox. With this method for bringing down a fever, all you do is to soak a pair of cotton socks in a cold solution made with equal quantities of apple cider vinegar and water. My advice is to make sure you use pure cotton socks, and preferably white ones which will not contain dye. Synthetic or nylon socks should not be used for this treatment, as the cider vinegar will draw out chemicals from the fabric. Use white cotton socks. Dip the socks into the cider vinegar solution, wring out, and put the wet socks onto the patient. Reserve the apple cider vinegar solution so that you can repeat the process every half hour or as necessary. In the past, I have used boiled onion water for the treatment for bronchitis and pleurisy. All you need is a couple of litres of water and a large onion, which you chop and boil up until soft, skin and all. This treatment. although a bit of an effort to perform, has been a life-saver for myself. A large cloth or towel is soaked with the onion water, wrung out, and wrapped, while still hot, around the chest and back. With this treatment, you leave the onion cloth on for several hours. Wrap a plastic around so the bed-clothes don’t get damp, and then a layer or two of blanket to keep the heat and moisture in. It is a good idea to drink plenty of hot lemon drinks, or simply hot water, while you sweat it out with the onion pack on. Try to drink several pints over two or three hours. This remedy has proved to be effective when nothing else seemed to work. It broke the cough and reduced the fever after an hour or two. I think that apple cider vinegar, diluted half and half with water, could be just as effective as the onion water remedy for putting on the chest when fever and cough are present. But onions are cheap, and cider vinegar is not, unless you make it yourself. So, seeing you need to have a quantity of liquid for the soaking of the towel, I would stick to the onion remedy for the treatment of choughs with the wet chest wrap. Childhood Illnesses And How Homeopathy Can Be Used As An Alternative To Vaccination or Immunization. It is worth keeping in mind that vaccinations do not always work. Some common childhood illnesses have developed strains which are resistant to vaccination antibiotics. And sometimes complications can arise from vaccinations or immunizations as they are called. I stopped having my children vaccinated after I witnessed my first-born child suffering dreadfully because of vaccination/immunization injections. Unhappily, I agreed to the first standard vaccination at 3 months old, after which his skin became reddened and blotchy, his little body swelled slightly, and he cried all the time because of digestion troubles. These symptoms took several weeks to subside. He had returned to a normal sleeping pattern, the swelling gone down, and the crying stopped, by the time the plunket nurse came around to our country home to give him the second shot at only 6 months old. She had insisted that there was no other way to protect my child, other than to vaccinate, and that being in the country we needed to do this very urgently. Again, sensing that this was NOT the right way to go about protecting my child’s health, I let her in to give my bub his second shot. Same thing happened, only worse this time. It was obvious that he had stomach pains as a result of the injection. He swelled out as if he had water retention, and his skin became reddened again. He cried for long periods at night and his sleeping pattern was again disturbed. It took a longer period for his health to return to normal after the second dose of the immunization medicine. So when the plunket nurse turned up at the door again, when my baby was 9 months old, I had made my mind up that no child of mine would ever be vaccinated again. My family, after that, had not even a tetanus injection. Instead of relying on these antibiotic vaccinations, I read and read and read as much as I could about homeopathy, vitamins, colour therapy, herbs, and natural diets. I also developed the use of the pendulum to help me select just the right homeopathic remedy for any suspected condition. Mind you, it was always good to know that the hospital was available to us should anything go wrong. A couple of times, when my youngest son had a midnight attack of croup, or whooping cough, we set off for the hospital in the middle of the night. But we were spared the necessity of visiting the hospital after all: I had already given him homeopathic Drosera just before leaving home, with Vitamin D and A rich Halibut liver oil capsules, and these remedies suddenly did the trick as we drove along in the car, as we headed for the hospital. 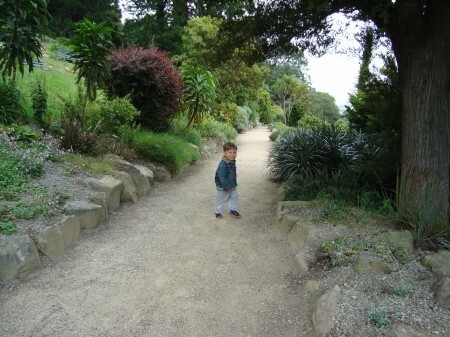 His breathing became as regular as any healthy child after 5 minutes or 10, and so we turned the car around and went home again. Measles, Mumps and Chickenpox can all be treated effectively with homeopathy, if the right remedy is given. But because it can take some skill to choose the right remedy, I do not suggest that you simply decide not to vaccinate and hope for the best with your selections. You really need to have an experienced homeopath handy if you have no experience in using homeopathy. So – see your doctor, herbalist, naturopath or professional homeopath in the event of any childhood illness. For measles with sudden fever use Aconite or Sulphur. You can start off with the Aconite, using a few drops of homeopathic Aconite every fifteen minutes for around 6 doses if the fever persists. As the fever subsides, you stop using the remedy, or perhaps give just one dose per day. Aconite, if used just for the first day or two, can be followed by homeopathic Sulphur, just one or two doses per day of the standard over-the-counter potency. I used to use the 6C, but the common potency these days is the 30C. Homeopathic Sulphur, or Arsen alb, are useful remedies to use when the itching and burning sensation of the skin may be a problem. The itching may begin after a few days, so you could switch to homeopathic Sulphur, or Arsen alb, after the initial Aconite has begun to work. Bryonia is a wonderful remedy for bronchial complaints, and this can be used if bronchial troubles set in as a complication of the measles. Drosera is another great one I would recommend for bronchial troubles, which actually isn’t mentioned in the list which Dr Stephenson gives. Don’t forget that Vitamin A to help overcome the infection. Vitamin A and D, found in Halibut Liver Oil capsules, is very good in combatting lung infections.For small children, I would bite the capsules open and squirt the contents into my babe’s mouth, swallowing the remains of the capsule myself. I sometimes used around 4 or 5 of these in one dose, repeating the same around an hour later if the infection persisted, and then no more. You can overdose on these vitamins if they are used for a prolonged period. So no more than two of these bigger doses, to be on the safe side. Unicef Are Using Vitamin A as part of a measles prevention campaign in Syria. At last, Vitamin A has earned its place in orthodox medicine. It was always there, as physicians of old used to prescribe cod liver oil for everything. But drug companies, and modern trends to ignore the remedies of old, put Vitamin A in cod liver oil in the back of the cupboard. Now it is in the forefront again. Praise Be. On-Going Chest Pain Is It Lung Cancer? What About Using Homeopathy For Measles As Well As Vitamin A? Homeopathy Is An Alternative To Vaccination Or Immunization. News on New Zealand television TV3 17 December 2012 at 8AM. The Director General of Unicef, speaking from Wellington, has just been interviewed on TV3. He was talking about the aid-initiative in Syria, which is being led by Unicef. His concerns were for the children of Syria, and that a measles outbreak could occur. This, unless preventive measures are taken, would be devastating for the vulnerable children in Syria, who have been affected by the disruption there. Homelessness and poverty are real issues. Great to hear that Vitamin A is being given to boost the immunity of these children who are susceptible to measles. The Director General said that an immunization programme is being carried out, and that Vitamin A is being supplemented. At last. Vitamin A being used in an international attempt to help prevent or alleviate child-hood illnesses. Immunization should not be necessary at all, if adequate Vitamin A is provided, with Vitamin C, along with adequate nutrition. And if Unicef were to give out appropriate homeopathic medicine for the treatment of measles and other childhood infections, instead of immunizations or vaccinations, then things would be near perfect in my opinion. Many vaccinations or immunizations, are problematic to the health of the individual vaccinated. Adverse reactions can appear at the time, but the immune system can be damaged which can cause health problems later in life. Type 2 Diabetes is one condition which has been related to vaccinations. Obesity is another condition which may be related to vaccination. Then there is autism, depression, cancer, multiple sclerosis, parkinson’s, and arthritis, to name a few others. Other chemicals in our environment, such as toxic pesticides and herbicides, and harmful additives in food, also play a part in all these diseases, I am sure. But vaccinations are probably the very first assault on the immune system that a small child has to suffer. So. It has taken a long time for Unicef to recognize that Vitamin A is effective against measles. Vitamin A will also help protect against other childhood illnesses, such as mumps, scarlet fever, whooping cough – you name it. Now Unicef is giving out Vitamin A, when orthodox medicine has for so long ignored this treatment. Let’s hope that they will not continue to exclude homeopathy from their range of treatments, but will begin to examine the use of homeopathy as an alternative to standard vaccinations and immunizations. Note: Large doses of Vitamin C are also effective in resisting, combatting, or minimizing the effects of childhood illnesses such as measles, mumps, chicken pox, scarlet fever, and many others. I think that there is a nosode which can be prescribed by a homeopathic physician to help prevent measles. But there are some common remedies which are also effective in helping prevent or to treat measles. Dr James Stephenson, in ‘Helping Yourself With Homeopathic Remedies’, published in 1976 by Parker Publishing, New York, gives several remedies for measles. See the post after this one for details of how these remedies may be used. Aconite, Antimon tart, Arsen alb, Bryonia, Chamomila, Rhus tox, Phosphorous, Pulsatilla and Sulphur, are some that Dr Stephenson recommends for measles. Each remedy has specific indications, and you would use the remedy which has the closest indications to those symptoms shown by the individual.